This suite is perfect for a family. 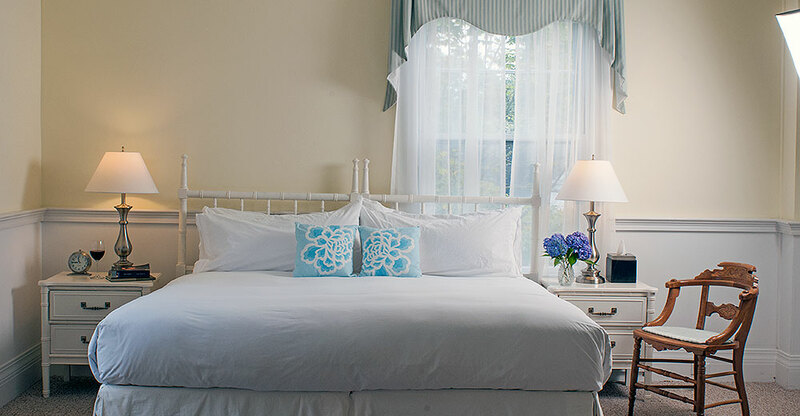 It features a supremely comfortable King-sized bed made up with Italian linens and a lofty duvet. The adjoining sitting room has a queen-size pullout bed. 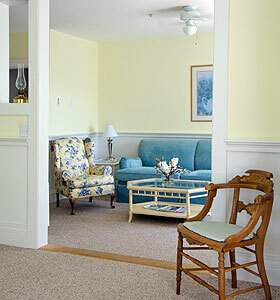 The spectacular views are of the harbor and the Inn's renowned perennial garden. Renovated private bathroom with tub and separate shower.